As the weather cools, it’s time to get cosy and indulge in a winter-warming cacao AKA hot-chocolate. There are endless nutritional benefits of using cacao over cocoa. It is high in magnesium and many other minerals (which aren’t present in cocoa due to the processing) plus, it has 40 times the antioxidants of blueberries. 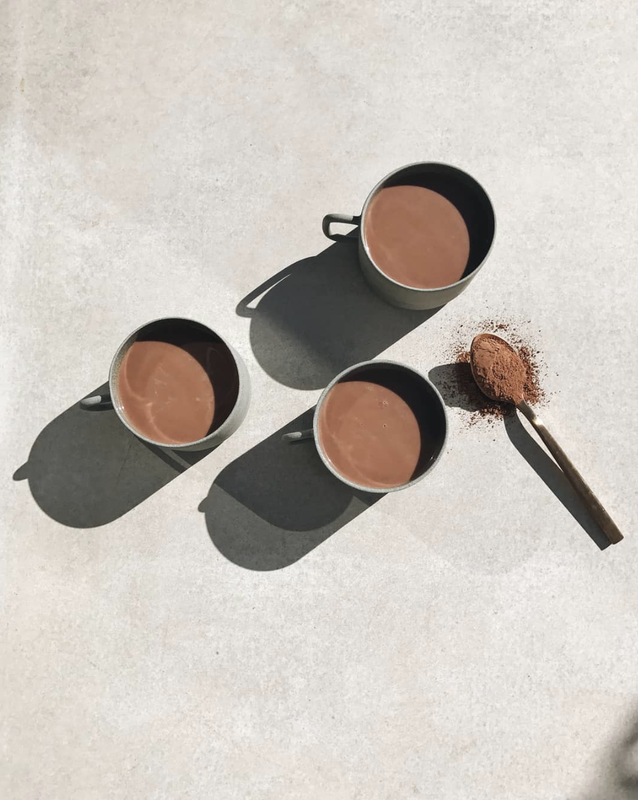 If you’re a chocolate obsessed, hot-chocolate loving soul, this super simple recipe makes a deliciously warm cup of cacao infused with your choice of either Wild Orange or Peppermint essential oils. Put the lid on the jar and shake. Then your mix is ready to stir in any nut milk of your choice!